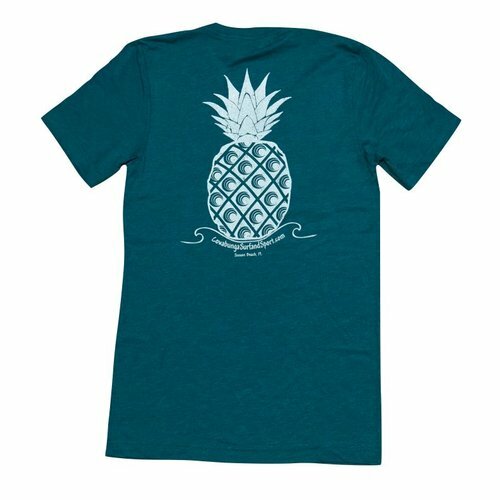 Lightweight and extremely soft and comfortable, this v-neck, short sleeved tri-blend tee with a large pineapple on the back and Cowabunga logo on the front left chest is machine washable with excellent fade and shrink resistance. 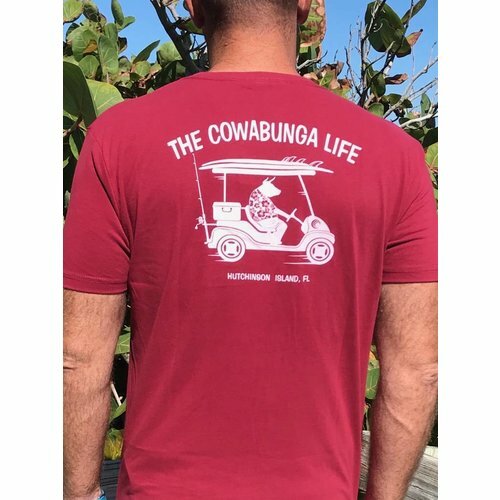 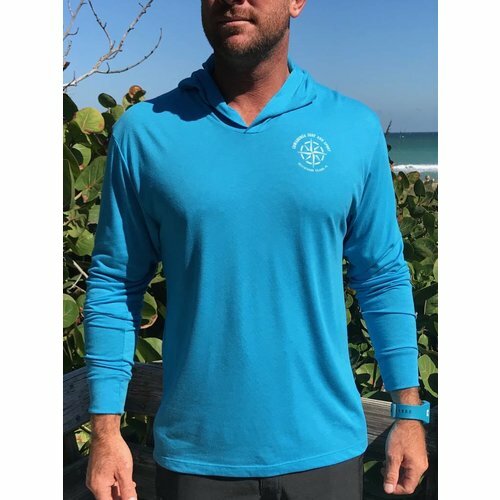 Super soft, lightweight tri-blend tee with the Cowabunga Surf and Sport logo center front and a graphic of Florida with a Cowabunga locator on the right back shoulder. 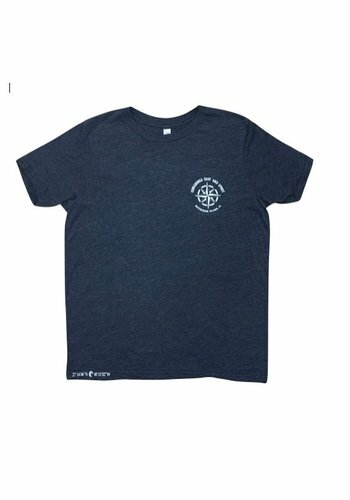 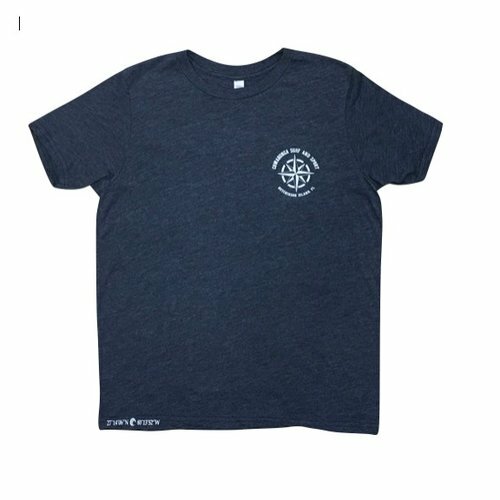 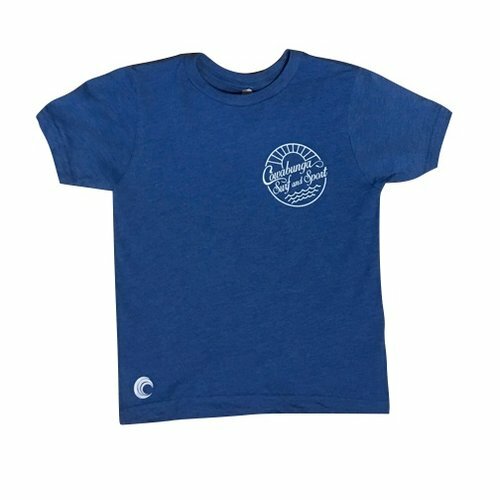 Lightweight and extremely soft and comfortable, this short sleeved tee with a ship's wheel on the back and compass rose on front left chest is machine washable with excellent fade and shrink resistance. 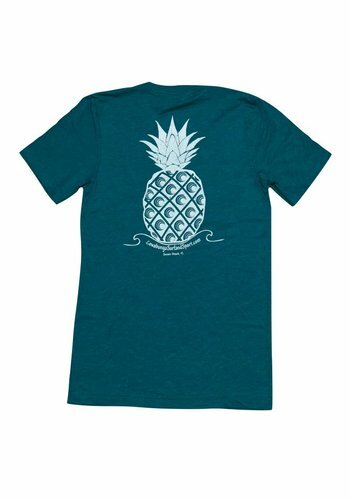 Sporting a bright, fun print, this shirt is designed of 100% pre-shrunk cotton that is dyed with eco-friendly pigments. 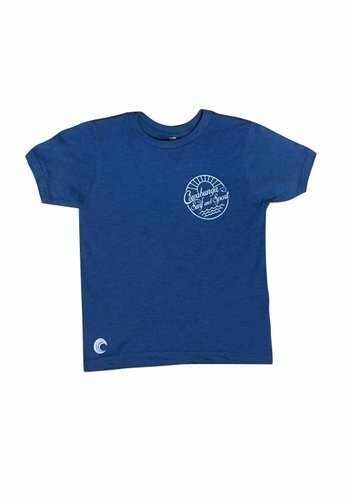 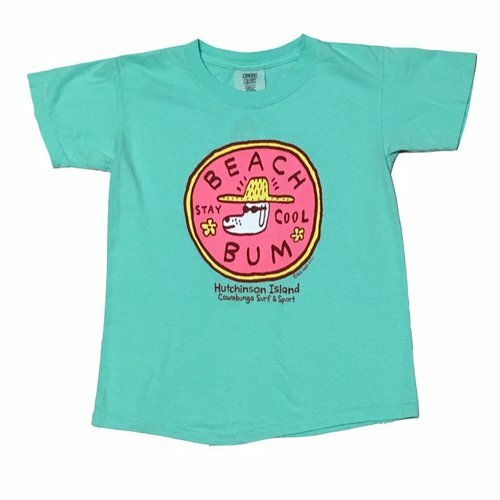 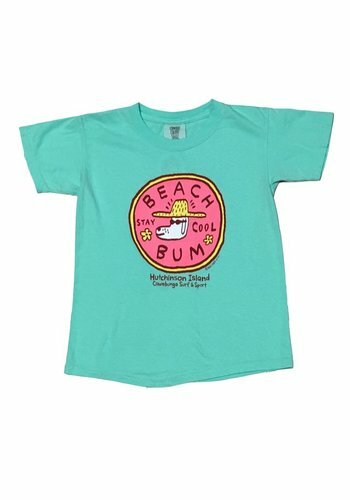 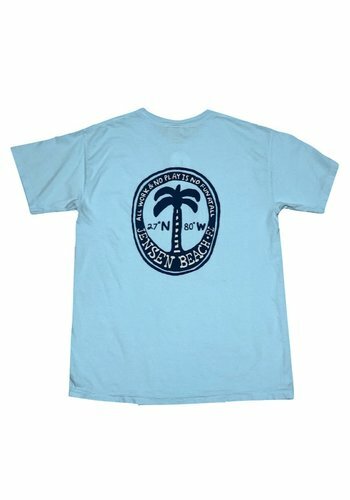 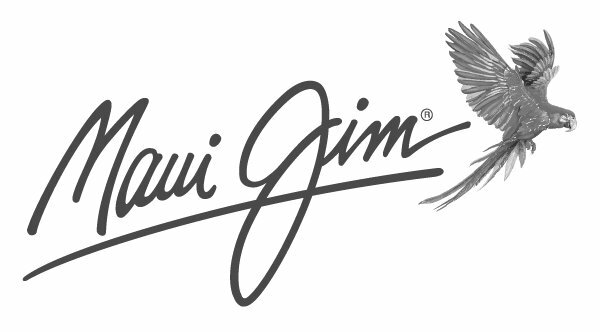 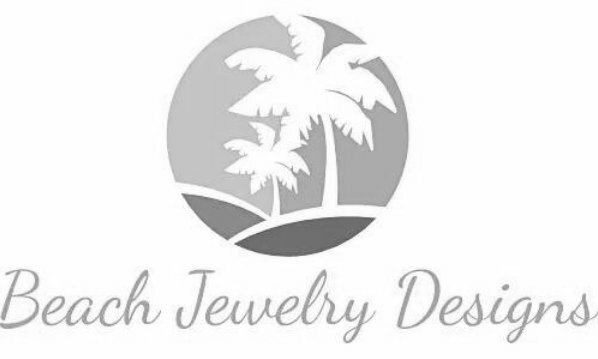 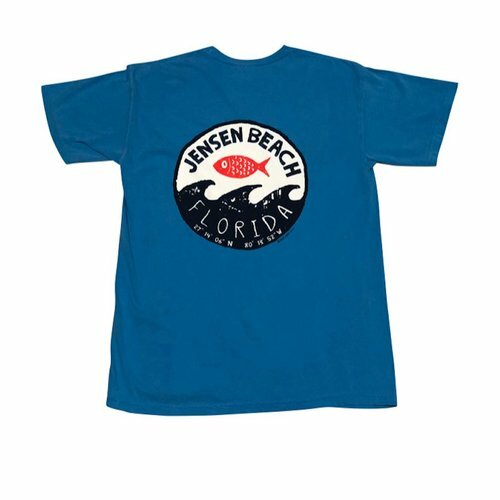 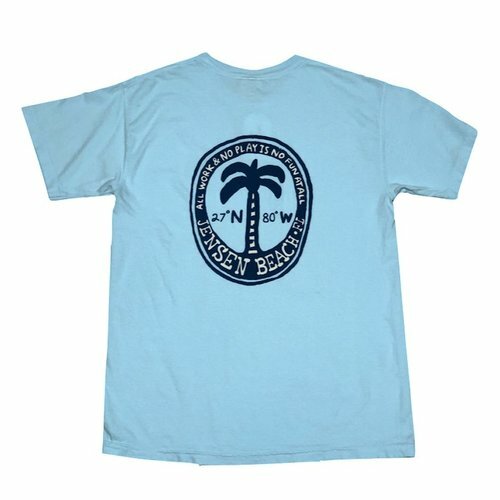 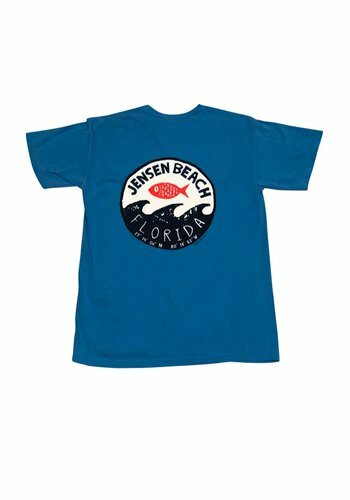 Sporting a fun tropical palm print and a Jensen Beach location, this soft and comfortable tee is designed of 100% pre-shrunk cotton that is dyed with eco-friendly pigments. 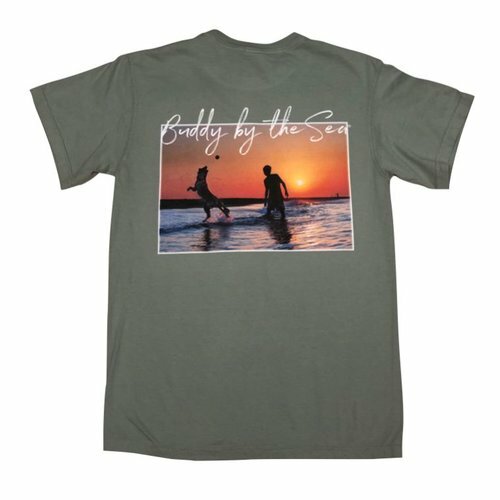 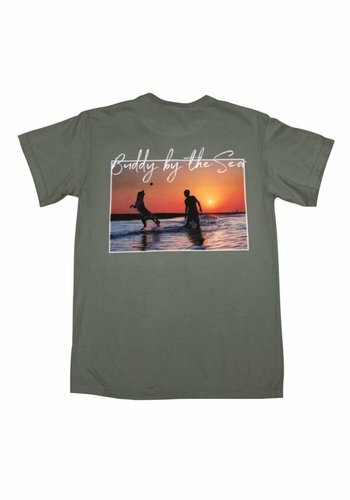 A sage green traditional fitting tee with a washed finish and a large, colorful image of Buddy playing in the surf at sunset at center back. 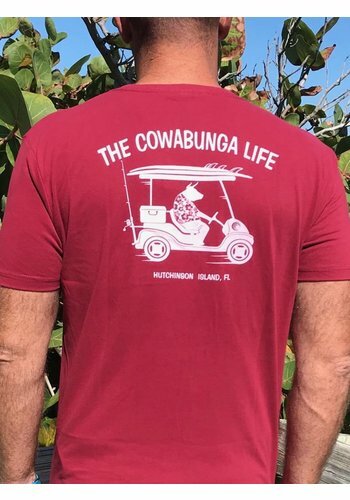 Soft, premium v-neck tee with The Cowabunga Life Golf graphic on the back and coordinating logo on front left chest. 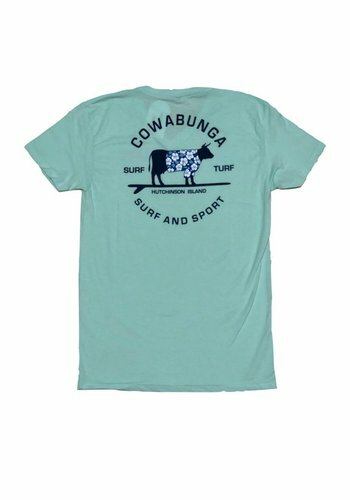 Soft, premium V-neck tee with Cowabunga Surf & Turf graphic on the back and coordinating logo on front left chest. 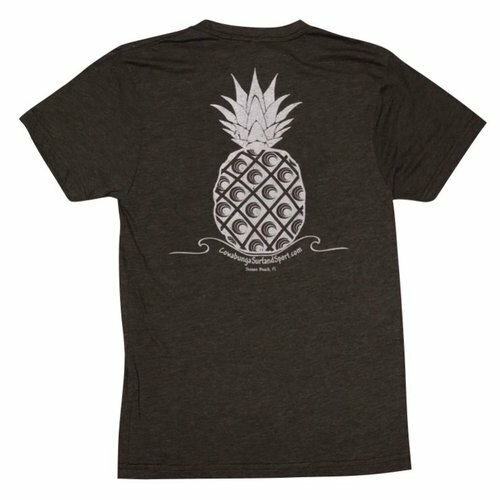 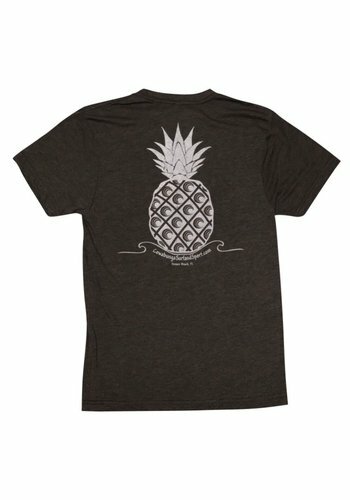 Lightweight and extremely soft and comfortable, this short sleeved tri-blend tee with a large pineapple on the back and Cowabunga logo on the front left chest is machine washable with excellent fade and shrink resistance. 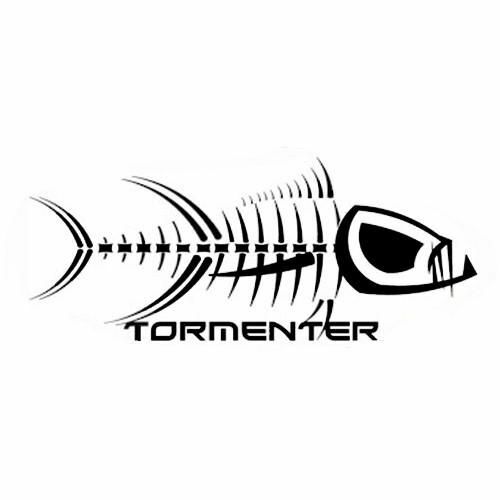 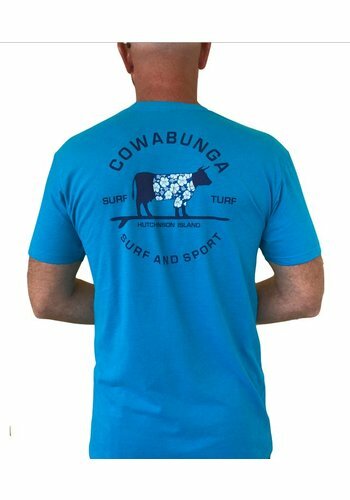 Soft, premium tee with Cowabunga Surf & Turf graphic on the back and coordinating logo on front left chest. 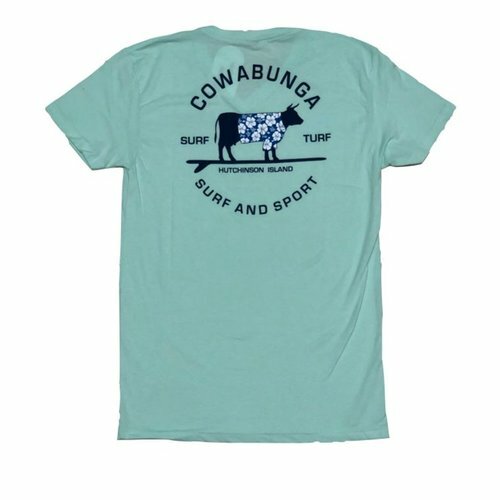 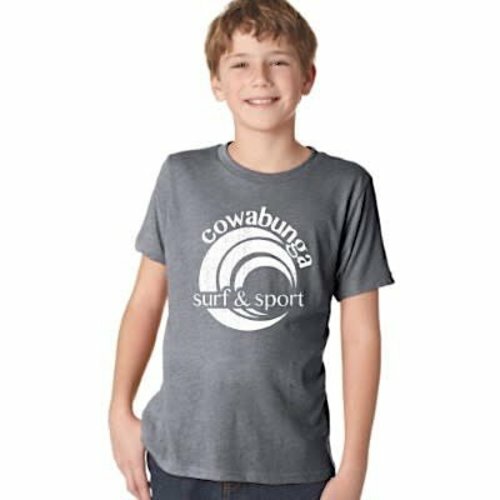 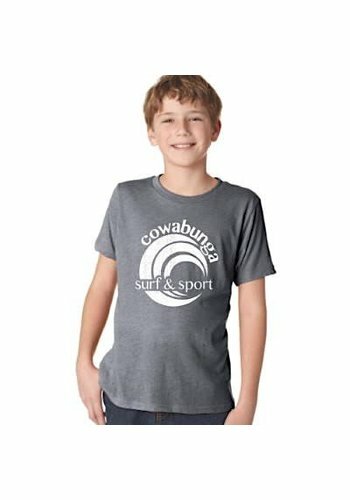 Lightweight and extremely soft and comfortable, this tri-blend tee with a stylized “sun and sea” Cowabunga logo on the back and front left chest is machine washable with excellent fade and shrink resistance.